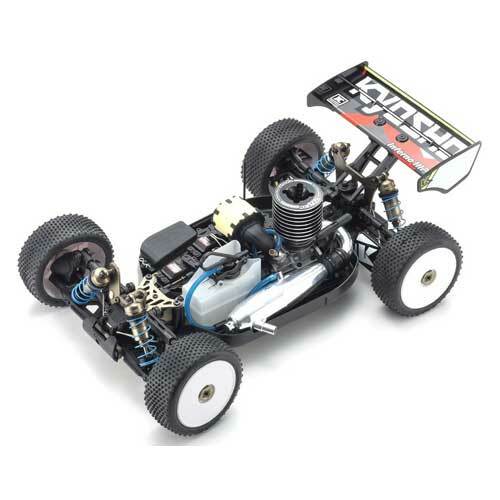 Take the incredible performance of the MP9 TKI4 straight from the box to the race circuit with this Readyset! 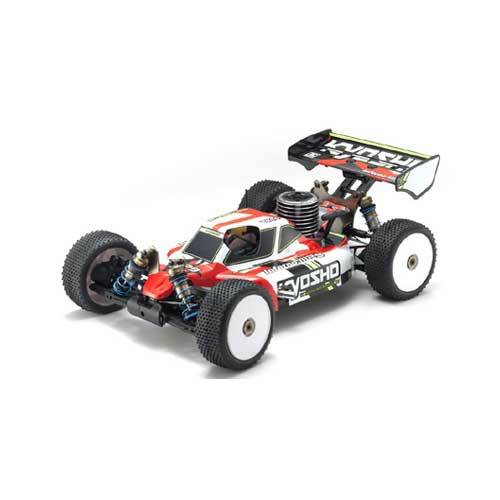 With 8 world championship titles, the Inferno has set the standard as the most powerful 1/8 scale engine racing buggy of all time. 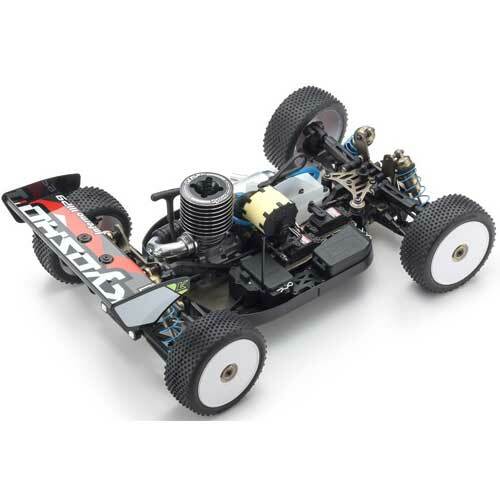 The DNA of the competition-level MP9 TKI4 model and its advanced racing technology is embodied in this Readyset. The MP9 TKI4’s signature long front sus arms and 17.5°caster angle front hub carriers realize superior cornering stability and sharp control while the adoption of a forward cabin type body increases downforce, using the Inferno’s aerodynamic performance advantage to deliver balanced cornering and optimal traction. 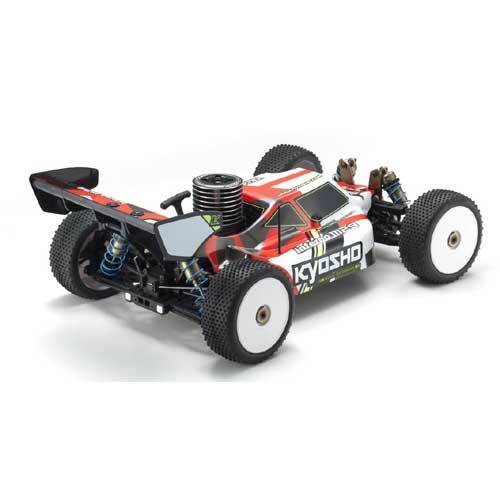 Including the user-friendly and high torque KE21SP engine fitted with recoil starter and rear existing exhaust, anyone wishing to challenge the peak of 1/8 engine buggy performance can find the perfect racing partner in this MP9 TKI4. 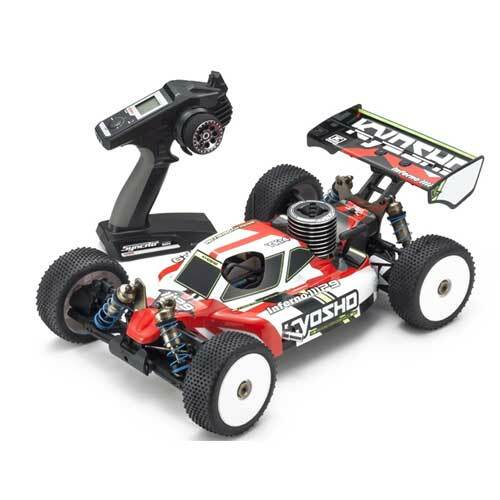 Readyset contains a pre-assembled chassis and body, including everything except batteries for the transmitter/receiver and engine starting tools. Can be ready for action the same day you buy it. Both steering and throttle are equipped with Waterproof high-torque KS5031-09MW servos. Precision setting adjustment of wheelbase, tread, toe angle, camber angle, caster angle and roll center etc. High heat dissipation from the brake disk and large capacity center differential deliver control stability, right through to the end of the race. Features a large capacity air cleaner that extends the maintenance cycle. Wide variety of optional parts provides extensive scope for performance tuning.